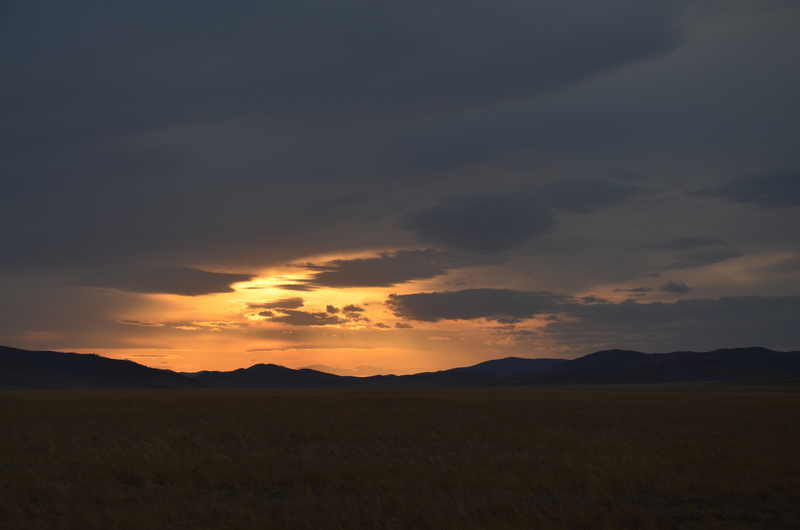 Today it was time to finally say goodbye to civilization and face the wilderness of Mongolia. 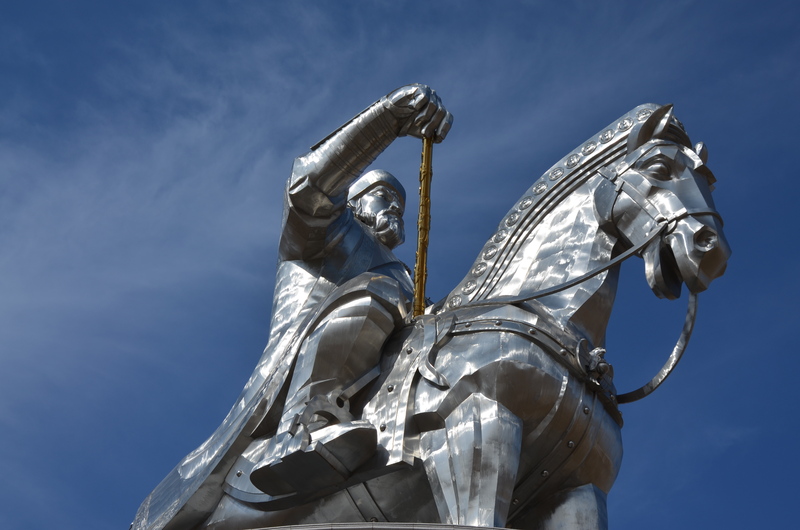 I drove out of Ulaan Bataar in sunshine, heading eastwards to see the birthplace of Chinggis Khan, the famous Mongol emperor who united the Mongols and then set out to create the biggest empire the earth has ever seen. He also destroyed a lot of places I had seen on this journey, so I was curious to see what land’s son he had been. The first three hours went very smooth, over a well tarred road that was almost empty. 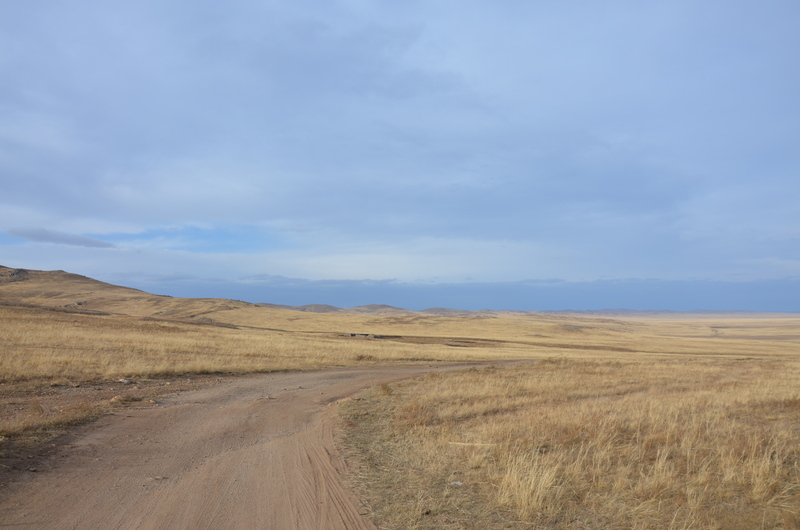 The landscape was hilly, mostly brown-yellow steppe, not too exciting. 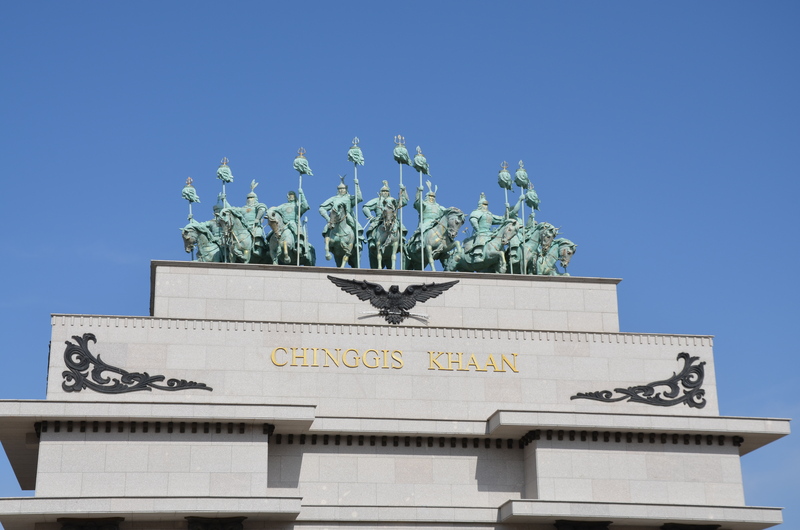 An hour after Ulaan Baatar I suddenly found a huge Chinngis Khan monument on a hill, it must have been 20-30m high, on top of a round two story building. 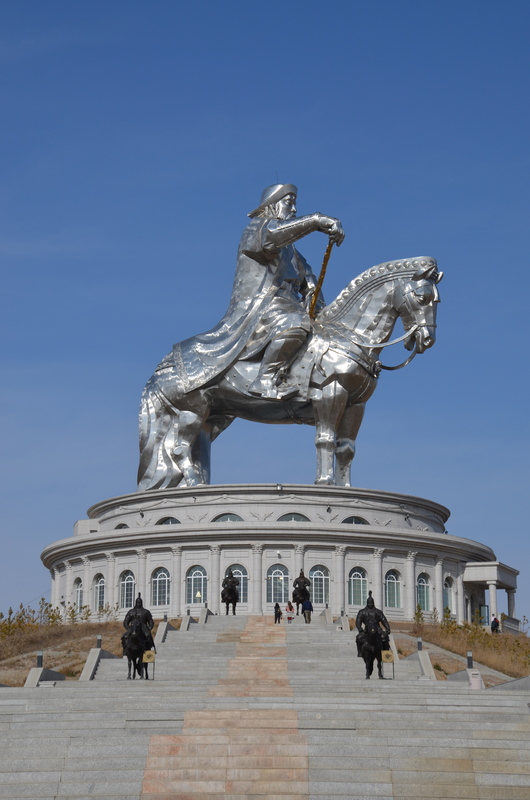 I stopped to admire the place, a crazy yet impressive monument in the steppe. 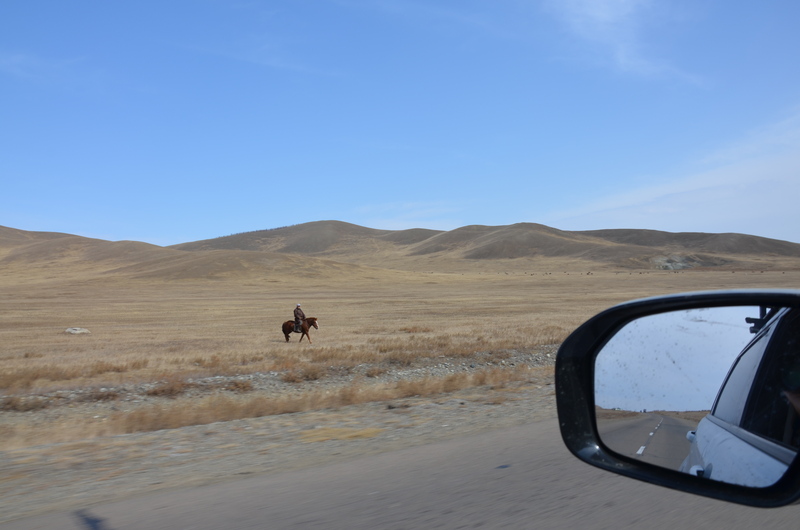 At km 240 I left the main road, and the off-road part of Mongolia began. As I had read so often, there were plenty of tracks running in parallel through the steppe. After the initial village I drove for over an hour without crossing a vehicle or village. There were cattle everywhere, and always a shepherd hot too far away. The tracks ran on soft sandy terrain, and had there not been the frequent sudden potholes I could have speeded quite a bit. At the first village I fuelled up. Although I still had half a tank I wasn’t in the mood for risking to run out of diesel. The iPad GPS app worked perfectly and the paper map indicated all trails and gas stations correctly. 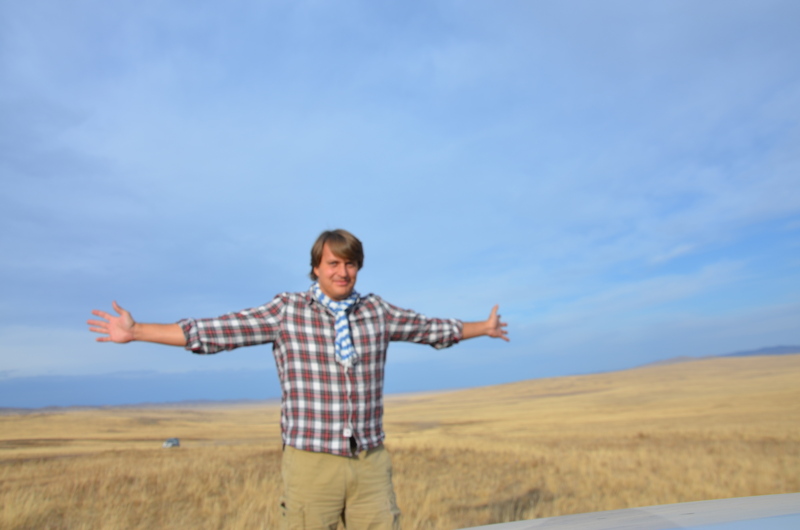 Once out of town I kept driving over the vast steppe. Two rivers crossed my way, and I wasn’t sure if I would make it, since the ground was muddy and the water quite deep. 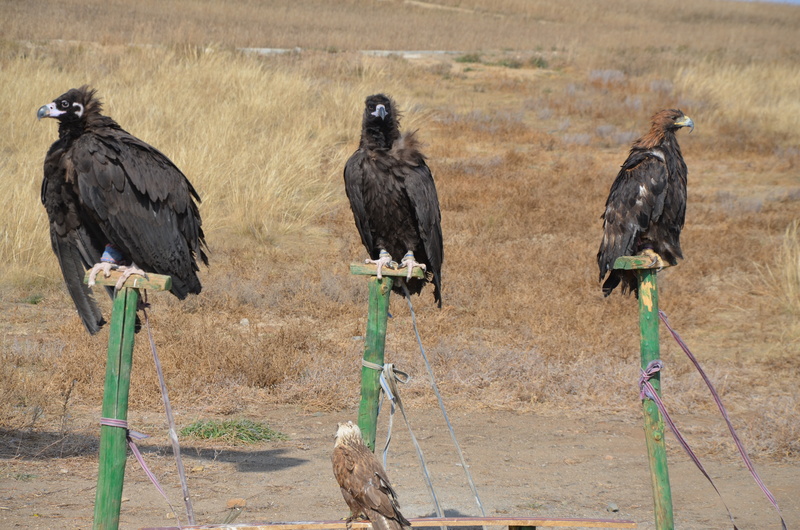 I got out of the car to check them, and if there were any alternatives around. There weren’t, so I had to take my chances. Both times there were no rocks on the ground and I made it through, but the water was over 60cm deep at the lowest point and the hood and windows got a wash. I hoped the engine wouldn’t cause any trouble, there were no issues today. At 17:30 the sun started to go down, so I stopped off the main track on a hill and pitched the tent. This would be my first night camping alone. As the wind was too strong too cook, dinner was just an instant soup and canned fish, along with Russian beer. Then darkness fell, and I am writing this in pitch black night. There is total silence around me, my fingers tipping on the iPad are the loudest noise around here. Afar I see the lights of several cars driving in both directions, there is some traffic after all in this deserted land. A huge cloud covers the stars, and it is starting to get cold. So I finish the beer, call it a day and am off into the tent now. Good night!